AERIAL FUTURES: NEW FUNCTIONS responded to the 2017 Chicago Architecture Biennial by placing contemporary airport developments into an historical context. Looking at the present to make sense of a new history, a select group of architects and experts discussed critical themes for airports today, such as lifecycle and adaptive reuse of terminal buildings, strategies for human-based design, and the nature of public space in light of complex business models. Architecture played a critical role in the development of today’s robust aviation landscape—from utopian visions and experimental prototypes to masterplans for airport cities and speculative spaceports. As they accommodate a rampant growth in passenger traffic, airport designers also enable critical development plans of local, regional and national magnitude. How do design breakthroughs in this field permeate the larger collective narratives of architectural progress? Terminal buildings around the globe are shaping architecture at this very moment. Complexity in design, operation and programmatic innovation highlight aviation’s contribution to an understudied part of architectural history. Highly visible and intensely frequented, airports encounter the broadest spectrum of changes in our globalized society. Almost overnight, these buildings must respond to new technologies, security threats, government regulations, and the invisible hand of global markets. Agatha Kessler has worked as an executive in the worlds of nance and technology, building international businesses in emerging products with VISA and Hewlett-Packard. Energized by the intersection of technology, business and design, she obtained an MBA from the University of Warwick. 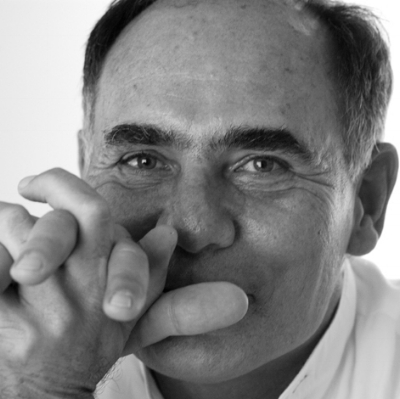 In 2007 Agatha joined Fentress Architects as CEO and is currently Chairman of the rm. 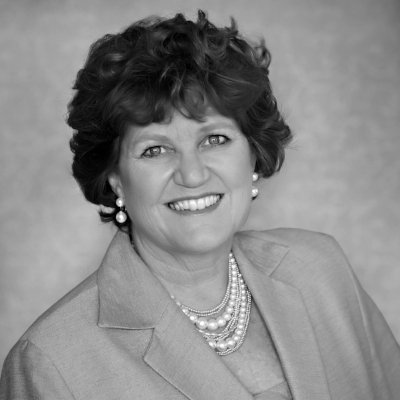 She serves on a number of boards, including the Design Futures Council. With a keen interest in the future of air travel, Agatha is pursuing a PhD in Aviation at Embry-Riddle Aeronautical University. Andres F. Ramirez is a sociologist investigating the semantics of space and its sociocultural implications. As a project manager, program curator, and independent consultant in architecture and urban planning he works in projects with an emphasis on social processes and public apace. He is co-founder and Managing Partner of PLANE—SITE, an agency devoted to the production and dissemination of original content for architecture and the built environment. Bostjan Vuga is a Slovenian architect and educator. Together with Jurij Sadar, he founded SADAR+VUGA in Ljubljana in 1996. In two decades the office has become one of the leading European architectural practices based on an open, integral and innovative concept. Their most acclaimed works include the Chamber of Commerce and Industry of Slovenia, the Central Part of the National Gallery of Slovenia, Sports Park Stozice, and Air Traffic Control Centre Ljubljana. The office has received many national and global architectural awards (Bauwelt Prize, Iconic Award, ArchMarathon Award, Piranesi Award, Plecnik Prize) and eight Mies van der Rohe nominations. 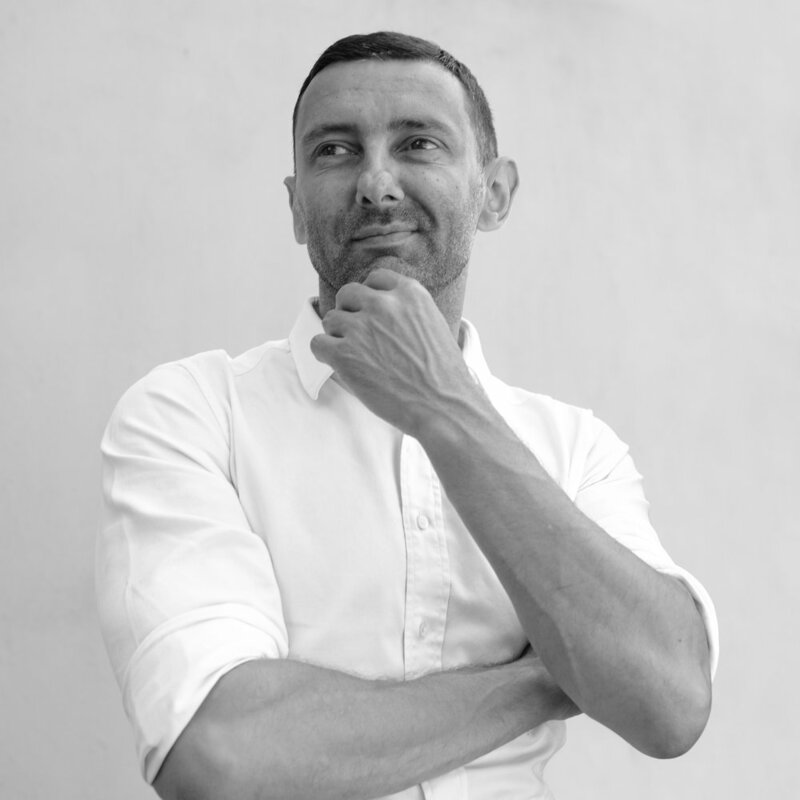 Bostjan co-curated the Montenegro Pavilion at the 14th Venice Biennale of Architecture in 2014. He was a guest professor at the Münster School of Architecture, the IAAC Barcelona, TU Berlin and The Berlage Institute. Since 2014 he has led the board of the Museum of Architecture and Design in Ljubljana, Slovenia. Charles Waldheim is an architect and the John E. Irving Professor at the Harvard University Graduate School of Design where he directs the school’s Office for Urbanization. Charles is recipient of the Rome Prize Fellowship from the American Academy in Rome; the Visiting Scholar Research Fellowship at the Canadian Centre for Architecture; the Sanders Fellowship at the University of Michigan; a Visiting Scholar residency at the Architectural Association School of Architecture; and the Cullinan Chair at Rice University. Clare Lyster is an architect, educator and writer. She is an Associate Professor at the University of Illinois School of Architecture at Chicago. Her work focuses on the design of the city from the perspective of contemporary theories in landscape, and infrastructure. at Chicago She is author of Learning from Logistics: How Networks Change Cities and co-editor of Third Coast Atlas, A Prelude to a Plan. Research and design, produced by her practice, CLUAA, has been exhibited locally and internationally including the Art Institute of Chicago, University College Dublin, The Lisbon Architecture Triennale and the forthcoming Seoul Biennale of Architecture and Urbanism. She received a BArch from UCD Dublin and her MArch from Yale University. Curtis Fentress is an American architect and Principal Airport Terminal Designer at Fentress Architects, an international design studio he founded in Denver, Colorado, in 1980. Curtis’ airports have garnered recognition worldwide for design excellence and outstanding “airside-to-curbside” traveler experience. A protégé of I.M. Pei, Curtis has developed a reputation as a hybrid architect, developing iconic design and high-profile public architecture. 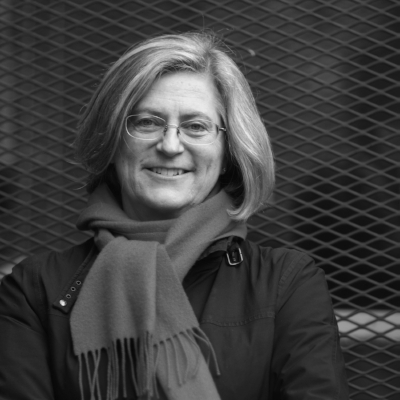 Cynthia Davidson is executive director of the nonprofit Anyone Corporation architecture think tank in New York City and editor of the international architecture journal Log and the former ANY magazine, a tabloid she edited from 1993–2000. She is responsible for more than 40 books in print and oversees the “Writing Architecture” series published with MIT Press. She also organizes exhibitions, including co-curating the US Pavilion at the 2016 Venice Architecture Biennale, and has hosted a number of cross-cultural multidisciplinary conferences on architecture at venues far and wide. A former Loeb Fellow at Harvard’s Graduate School of Design, she was recognized by The American Academy of Arts and Letters with its Architecture Award in 2014. Geoff Goldberg practices architecture and urban design in the Chicago area, focusing on complex urban design projects. Projects include regional planning for a third airport, an industrial development plan for the west side of Chicago, a City College campus, and design management of the CTA Brown Line reconstruction. His office G. Goldberg + Associates, founded in 1992, aims for tighter integration of public policy and project development. With extensive experience in the public sector, Geoff seeks to reconcile long-term public goals and short-term needs by combining highly disciplined project management and design solutions. Work under Geoff’s direction has received numerous awards, from small details to larger regional planning efforts. A graduate of the University of Chicago and Harvard University, he currently teaches design at the University of Illinois at Chicago, and has published both architectural and engineering histories. Ginger S. Evans manages one of the world’s busiest airport systems comprised of O’Hare and Midway International Airports as Chicago Department of Aviation (CDA) Commissioner. Ginger has 30 years of aviation experience. She joined the CDA in June 2015 after serving as Vice President of Engineering for the Metropolitan Washington Airports Authority (MWAA) in Washington, D.C. She has overseen major projects at Reagan National and Dulles airports, as well as the new Silver Line Metrorail extension. Prior to her role as Vice President at MWAA, Ginger worked in private consulting on major aviation projects in Europe, the Middle East, and Latin America, as well as rail projects in New York and Washington. Prior to this, she served as Director of Aviation for Denver International Airport. She is a member of the National Academy of Construction and the International Women’s Forum. Hennie Reynders is the Chair of Architecture and full-time, tenured Associate Professor in the Department of Architecture, Interior Architecture and Designed Objects at the School of the Art Institute of Chicago. His research interests and academic advising bene t from the interdisciplinary opportunities of the art, design and science nexus at SAIC and focus on uneven development in the urban eld, ecological urbanism, revolutionary forms of practice, social infrastructure, the social shaping of technology and the relationship that exists between structure and agency. By implication his research propositions an expanded mandate for architecture through his writing, in biopic interventions and installations, and most recently through contributions to the Good City Group in Chicago. John Zukowsky is an architectural and design historian with more than four decades of museum experience. While curator of architecture for The Art Institute of Chicago (1978 – 2004), he organized a number of award-winning exhibitions, accompanied by major publications. These include three devoted to aviation architecture and design: Building for Air Travel; Building for Space Travel; and Aerospace Design, this last done in conjunction with NASA. He has also recently authored several architecture volumes including Benjamin H. Marshall: Chicago Architect, Why on Earth Would Anyone Build That? Modern Architecture Explained; and Building Chicago: The Architectural Masterworks. His latest book, in conjunction with architectural illustrator Robbie Polley, is titled Architecture Inside-Out, being scheduled for publication in 2018. Jonathan D. Solomon is Associate Professor and Department of Architecture, Interior Architecture and Designed Objects at the School of the Art Institute of Chicago. His drawings, analytical and counterfactual urban narratives, appear in Cities Without Ground (ORO, 2012), and 13 Projects for the Sheridan Expressway (PAPress, 2004). Jonathan edits Forty-Five, a journal of outside research, and was curator of the US Pavilion at the 2010 Venice Architecture Biennale. His interests include extra-disciplinary, post-growth, and non-anthroponormative design futures. Jonathan received a BA from Columbia University and an MArch from Princeton University and is a licensed architect in the State of Illinois. Juergen Mayer H. is founder and principal of J. MAYER H. und Partner, Architekten mbB, an international, award winning architecture of ce with projects at the intersection of architecture, communication, and new technology. From urban planning schemes and buildings to installation work and objects with new materials, Juergen is concerned with the relationship between the human body, technology, and nature; which forms the background for a new production of space. National and international awards include the Mies van der Rohe Award, emerging architect, special mention 2003; Holcim Award, winner Europe bronze 2005; and Audi Urban Future Award, 2010. Max Hirsh (PhD, Harvard) is a professor at the University of Hong Kong and a leading expert on airports and urban infrastructure. He is the author of Airport Urbanism: an unprecedented study of air travel and global migration patterns that incorporates the perspective of passengers, airport designers, urban planners, and aviation executives. Max also writes the popular blog airporturbanism.com, where he presents leading-edge strategies for tackling many of the issues that confront airports today. Passionate about airports and air travel, he works with airport authorities, design rms, and urban planning agencies around the world to help shape the future of airports and the cities that they serve. Thomas Kong is a Singapore registered architect and an associate professor at the School of the Art Institute of Chicago. Besides his teaching responsibility, he chairs the Interior Architecture program and has co-chaired the Department of Architecture, Interior Architecture and Designed Objects. He has published, spoken and conducted design workshops on the social and cultural concerns surrounding vast, interconnected interior environments and is currently researching for a publication on the new Changi Jewel in Singapore as a new form of 21st century interior urbanism in the city-state. Thomas is a member of the Project for Public Space’s Placemaking Leadership Council and was recognized by the Council for Interior Design Accreditation as the organization’s 2014 Visionary for his contribution to interior design education.